Honey Sanaa is an up and coming poet from Madison, Mississippi (currently residing in New Orleans). 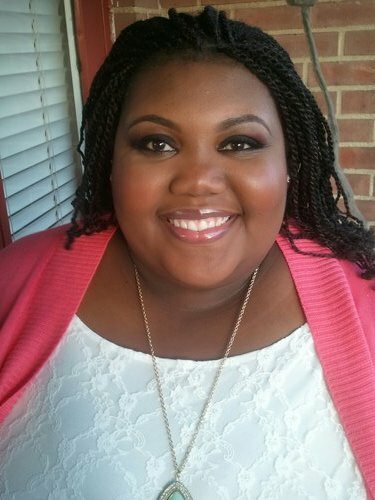 She is a graduate from the University of Southern Mississippi with degrees in both English Literature and French, and is currently pursuing at Master’s degree in Education at William Carey University. Honey has been writing poetry since the age of 12 but didn’t discover her love for its spoken word styling until college. She has since become a formidable advocate for the expression form and the education of those who have yet to be exposed to it. While a student at the University of Southern Mississippi, Kandi (the English Literature Major) met Rasheda Walker (the business major) and together they founded C.H.A.O.S: Collective Hip-Hop an Artistically Original Society. This campus-based organization provides a home to artistic students at the University of Southern Mississippi and gives them a chance to perfect their art, perform their art, and connect with others who share their passion. Honey has traveled from Florida to Texas and a number of states in between, sharing her words with audiences all over the south. She has performed at venues alongside HBO Def Jam Poets as well as the New Orleans National Slam Poetry Team (SNO). Currently, Honey is an educator in the Mississippi Education system where she teaches both Language Arts and interventions for at risk students. Simultaneously, she is releasing her first collection of published works and her first recording of spoken-word pieces. Far from done though, Honey has already begun working on a second collection.